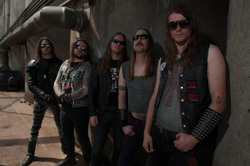 With the desire to create a true traditional heavy metal band, bass player Ryan Waste (Municipal Waste) and guitarist Nick Poulus (ex-Cannabis Corpse) created Volture several years ago. On The Edge is the Richmond Virginia based band's second effort. Volture: we is metal, just look at our clothes. The sound that the Waste-Poulos team was seeking was classic US heavy metal combined with the peak Eighties New Wave of British Heavy Metal. On this album, they basically nail it. On The Edge is a solid mixture of the melodic, heavy, and speed metal of that era. But it doesn't sound old or dated because it's done well. Most every song moves by the swiftness of speed metal, and rhtytm section is lean, mean, and steady to keep the pace. Heat Seeker and Deep Dweller moderate the pace, but only slightly. After that, there's big, and also swift, guitar solos from Nick Poulos who brought his best licks to the studio. There are too many to point to, but epic solos Brethern of the Coast, Hot Wired, and Heat Seeker. The vocal arrangements are also quite polished, melodic and harmonious. 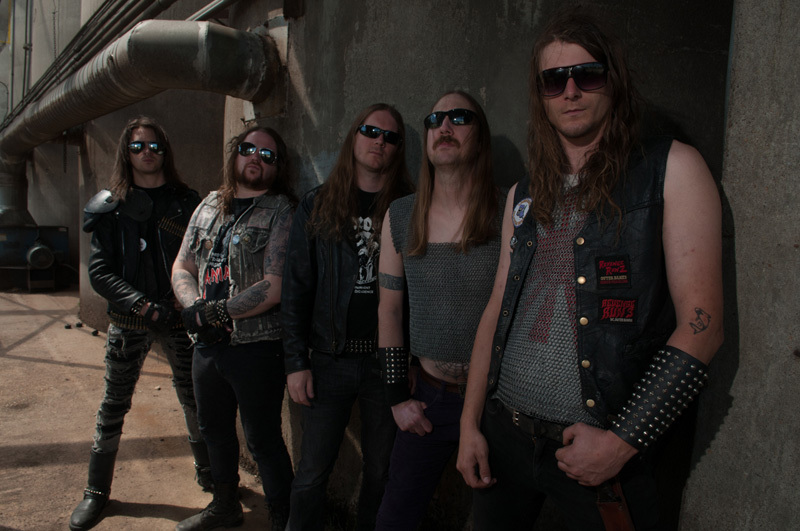 Jack Bauer is vocalist in the classic Eighties metal tradition: clean, melodic and sometimes soaring, and he has no problem keeping pace with speed. Fundamentally, this is solid heavy/speed metal in the best tradition made relevant for today (though good classic metal never goes out of style). My only wish would have been a few songs with a more temperate pace, but otherwise Volture is dead on in their pursuit of traditional heavy metal. Easily recommended. 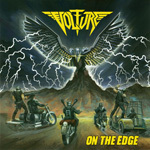 Volture's On The Edge delivers classic heavy speed metal in the best tradition of great Eighties US metal with a brisk pace, melodic vocals, and truck load of bristling guitar solos.